I received both of the palettes for Christmas and oh my gosh I was incredibly happy to finally get my hands on them. 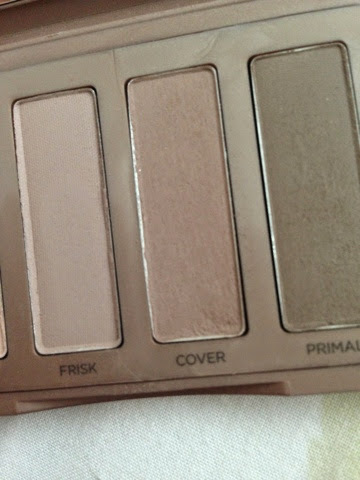 I've wanted the original Naked palette for a good few years now and when the Naked 2 basics came out recently, I much preferred those colours to the first palette and therefore asked for that one for Christmas. 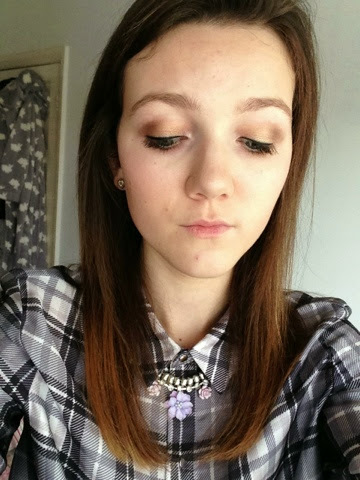 Since then, I've been using both palettes on a daily basis experimenting with different looks. All of these looks are quick, easy and neutral, ideal to whip on just before school, college or work. The first look is a bronze based look, one which will help compliment blue eyes and add warmth through the socket. Before each look, I primed my eyes with Urban Decay's primer potion, to ensure it will stay put all day. For this eye look, I applied the shade 'sidecar' from the Naked palette all over the lid and blended the shade 'cover' from the Naked 2 basics in the outer corner to give the eye some warmth/depth. I used the shade 'virgin' for a inner corner highlight. 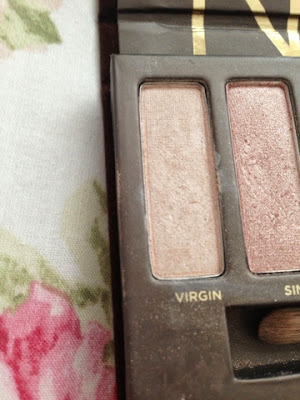 'Sidecar' is a lovely shimmery bronze shade, its highly pigmented and very creamy/rich when applied, I just love it. 'Cover' is probably my favourite shade out of the Naked 2 basics palette, its the perfect mid matte brown shade, which is just amazing blended in the outer corner with an array of eye shadows, to achieve more depth to the eye. 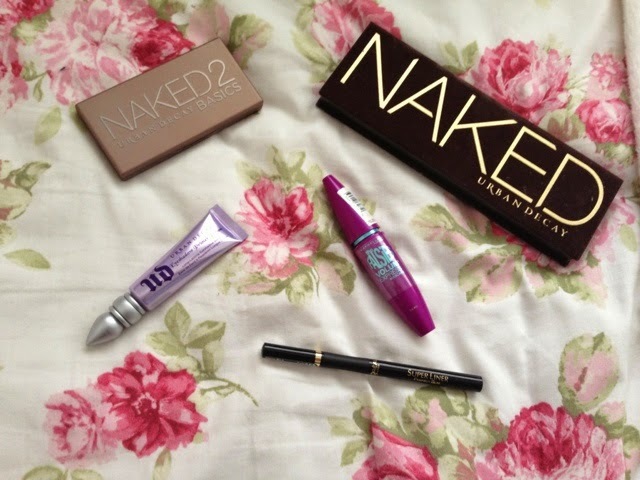 The second look is one I wear the most out of the three and is more of a gold eye look. Again, I primed my eyes and used the shade 'half baked' all over the lid. Wow oh wow, I love the shade half baked, its such a beautiful highly pigmented gold colour with the perfect amount of shimmer. For somebody who usually is more of bronze eye shadow girl, its definitely changed my opinion on gold based eye shadows. To warm up the eye, I blend the shade 'buck through the outer corner and slightly in the crease. 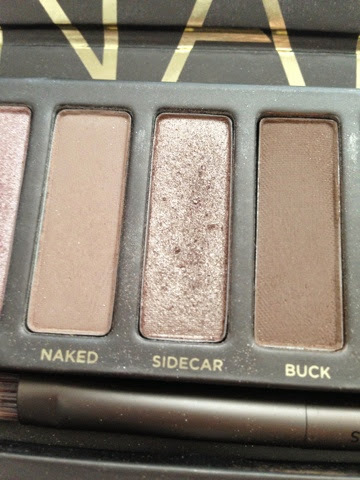 I'd say 'buck' is slightly darker than 'cover' and gives more of a contoured eye look. 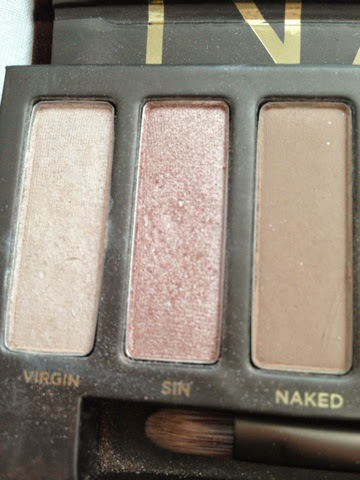 I also then apply 'virgin' in the inner corner. This look, is the most dressy out of the three because it has more of that party/night out edge with the gold yet, I just love it for an everyday bit of glamour. The last look is the most natural and subtle out of the three. 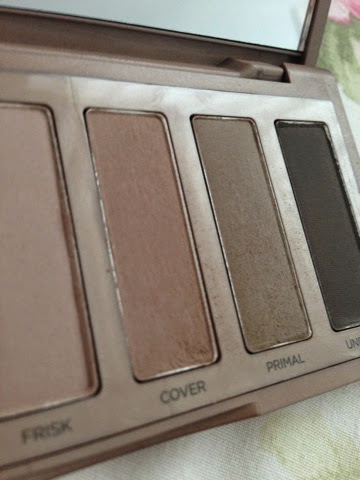 For the lid, I used the shade 'sin' from the Naked palette, which is this pale pink shade that adds a lovely sweep of colour to the eye. 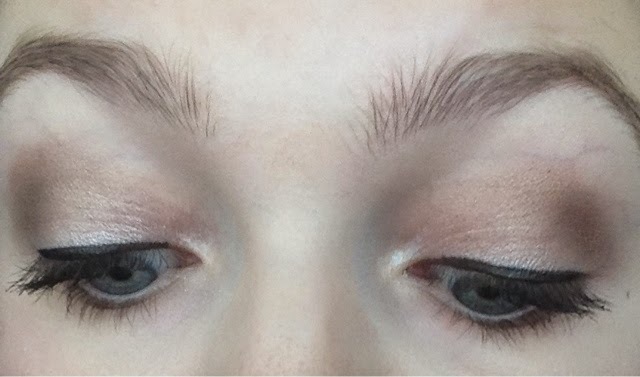 To then add more definition and colour, from the Naked 2 basics I blended 'cover' in the outer corner and a bit of 'primal' as well to darken it up. 'Virgin' is the most beautiful highlighting shade and I've been loving to use it for the inner corner of every single eye look. 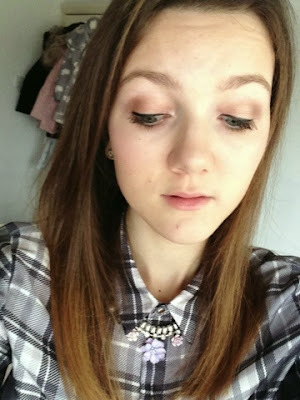 For all these looks, I drew a simple black line with L'oreal's super liner above my lashes and applied a couple of coats of Maybelline's the falsies mascara. 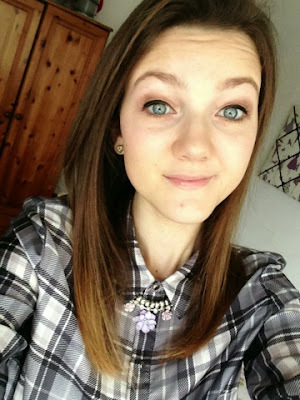 I hope you enjoyed these quick and easy everyday eye looks! If you've seen pictures of me you'd know I have long hair, however yesterday as my hair was in such bad condition, I got a couple of inches off and it now feels super healthy. I absolutely love it even though I do miss my long hair. 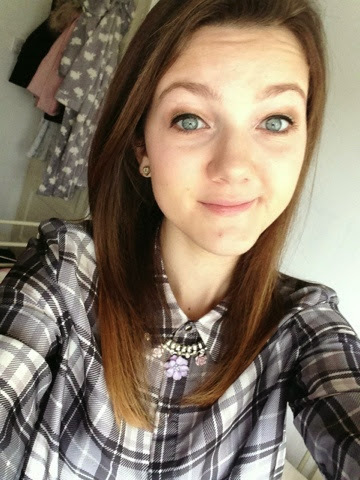 This will explain why my hair is shorter in the pictures above, if you were curious. 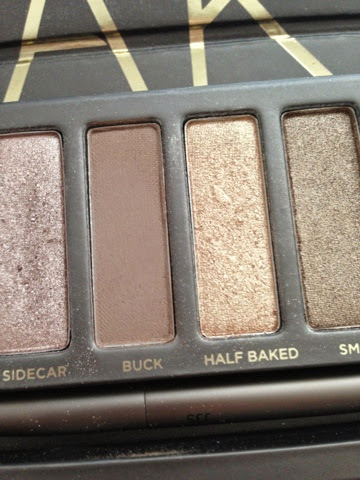 I recently got the Naked palette so I can definitely do similar looks. Loved all of the looks. So pretty. I love the look of Naked palettes but I don't own any yet, I can't decide which I should purchase first! Hope you have a lovely week.